A month ago, I had the opportunity to perform at the renowned El Rey Theatre, opening for soul man Jamie Lidell. 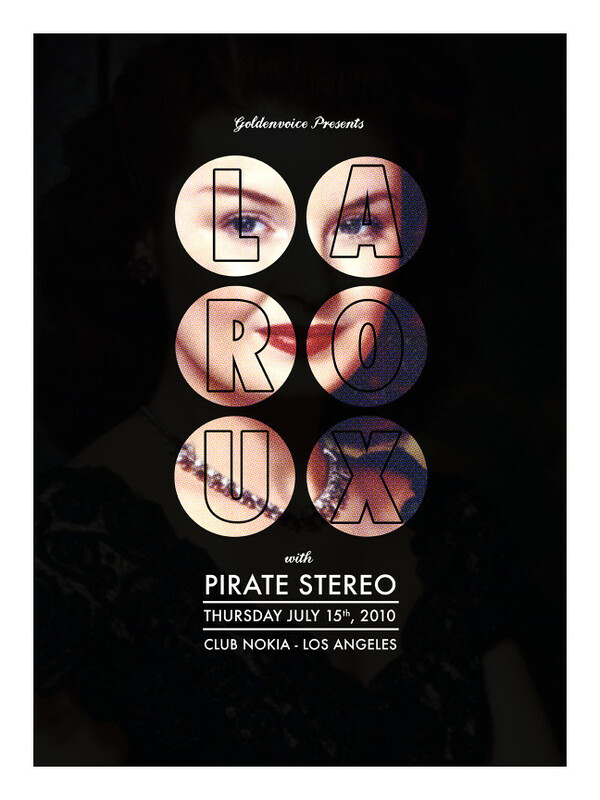 This unexpected performance was hyped around the office and soon enough, a month later I was chosen to open for indie queen La Roux at Club Nokia at L.A. Live. Both of these performances surpassed my expectations and allowed me to experience playing a large, sold out show. While that month passed, I had the opportunity of meeting friends from the past, and networking for the future. Through one friend, I was introduced to an entertainment news site that interviews rising talent in the world of Hollywood. After presenting Pirate Stereo’s portfolio, they soon booked me for my first solo interview. The interview was to be a full hour long, including a showcase of the stuff that we create. This was a great way to put to words the work that Eyal and I have been doing since our late Berklee years. Overall, my experience in LA has surpassed my expectations. No tricks, no gimmicks, just straight hard work, persistence and attitude. P.S. On a bit of a side note, a bit of a Berklee recap. Johnny Nicholson, Ann Driscoll and the guys from Verb, The Adjective Noun have been working on their new albums in LA, to be released Fall ’10. Keep your ears to the ground, this stuff is beyond brilliant!